National Security. It’s the President’s most basic Constitutional duty and his preeminent cudgel, the phrase used to motivate the country and justify almost anything and everything – secrecy, lies, discrimination, authoritarianism. It shapes the national and international debate, technology, research, budgets. Patriots drape themselves in its ennobling folds; scoundrels use it as a shield while wielding it as a bludgeon. Just its mention provokes a national primal scream, summoning such basic emotions that reason becomes an afterthought. But what is national security? It’s been a foundational conundrum, especially since the birth of the nuclear age and the threat of instant annihilation. But the factual consensus that used to regulate the mainstream debate over national security has frayed and broken as the very concept of “objective truth” fades, to use George Orwell’s guiding phrase. And that has provoked new divisions that threaten us all. “The ideal subject of totalitarian rule is not the convinced Nazi or the convinced communist, but people for who the distinction between fact and fiction – i.e. the reality of experience – and the distinction between true and false – i.e. the standards of thought – no longer exist,” Hannah Arendt, the philosopher and political theorist, wrote in her 1951 oeuvre, “The Origins of Totalitarianism." Donald Trump lies so prolifically that he’s debased the currency of conversation. “Truth,” Trump’s Orwellian lawyer, Rudy Giuliani summarized, “isn’t truth.” Trump’s lies – about everything from the investigations into Russian election interference to his popularity and achievements – are only the brightest blinking red light among many warnings of his assault on democratic institutions and norms, Michiko Kakutani wrote earlier this year in The Guardian. How did this happen? How did truth and reason become such endangered species? And what does the threat to them portend for our public discourse and the future of our politics and governance? Two noted national security experts, General Michael Hayden and Joe Cirincione, will hone in on those questions in a discussion “Truth Decay – National Security In The Age Of Lies.” The last event of the year in the annual series “Conversations On the Green,” the interactive forum is produced by Ambassador William Luers and will focus on the threats facing the intelligence community and how malleable facts endanger the country. A retired four-star Air Force and the winner of the Distinguished Service among a host of other medals, General Hayden has directed both the National Security Agency and the Central Intelligence Agency and has emerged as one of the foremost critics of Pres. Trump., During his tenure at the NSA, he oversaw the agency’s warrantless surveillance program, which monitored communications between persons in the country and abroad, which critics saw as an effort to silence opponents of the Obama Administration. Since retiring, Hayden has become a scathing critic of the Trump administration, appearing frequently as a national security expert on all the leading talking head shows. He has also written two best-selling books, "The Assault on Intelligence: American National Security in an Age of Lies," a blistering critique of the looming threats facing the intelligence community, and “Playing The Edge,” an unapologetic insider’s view from his years inside the Looking Glass. The president of the Ploughshares Fund, Joseph Cirincione has worked on nuclear weapons policy in Washington for over 35 and is a mainstay on Tv cable news. He previously served as vice president for national security at the Center for American Progress and as director for non-proliferation at Carnegie Endowment and worked for nine years on the House Armed Services and Government Operations committees. A member of the Council on Foreign Relations, he was a security advisor to Secretaries of State John Kerry and Hillary Clinton. Former NBC News correspondent & talk show host. Audience members will be encouraged to participate in the interactive town-hall style format. Greenwoods Counseling Referrals, Inc. - Helping members of the Litchfield County Community and beyond find access to compassionate and high-quality mental health and related care. New Milford Hospital- helping to secure the latest technology, attract the best medical staff and provide the compassionate, patient-centered care for which they are nationally recognized. Susan B. Anthony Project- promoting safety, healing, and growth for all survivors of domestic and sexual abuse and advocates for the autonomy of women and the end of interpersonal violence. $250 per person - "Angels on the Green" tickets, include preferred seating and a chance to meet the speakers at a cocktail reception following the conversation at The Grace Mayflower Inn & Spa. To buy tickets online with a Credit Card or PayPal, click "Register Now!" below. To buy tickets by mail, click on the MAIL IN RESPONSE FORM,print and fill out, and return it by email or regular mail as soon as possible. Some portion of your payment is tax deductible. We suggest you consult with your accountant or attorney. 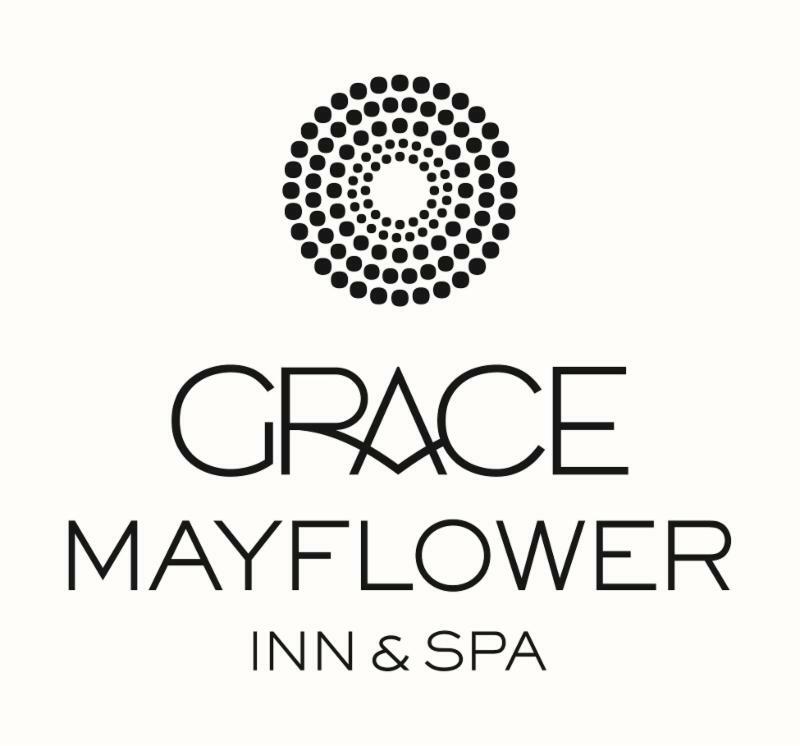 Grace Mayflower Inn & Spa. Open exclusively to event attendees. Includes select wine, tax & gratuity.